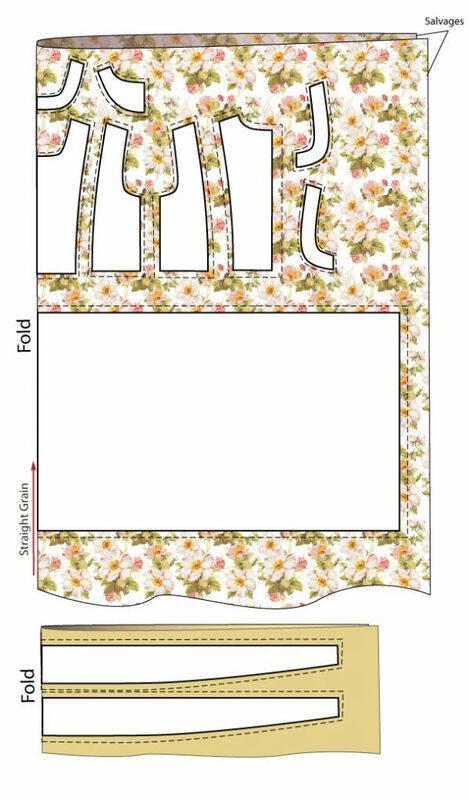 Dress with a frilly top detailed sewing instructions. Dress with a frilly top is not very complicated to make. Read instructions fully before you begin. 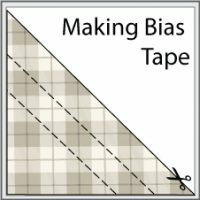 Laying out the pattern will depend on the width of your fabric. 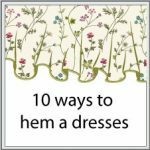 Here is one suggestion: Continue reading Dress with a frilly top detailed sewing instructions. 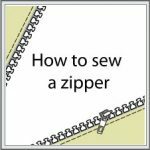 How to sew an exposed zipper. Exposed zipper look became rather fashionable recently. When it is properly done it can elevate the whole design and add an interesting detail to your dress, skirt or jumper. Exposed zipper can be placed in the middle of a garment piece, between two components of a garment or into the seam. 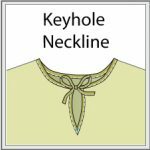 Besides obvious functional role (putting on a garment or closing a pocket) it can be used as a construction element or as an embellishment. The following method of sewing an exposed zipper doesn’t requires a seam at all. The technique is similar to a bound buttonhole process scaled. A separate piece of fabric is used to make a faced opening. 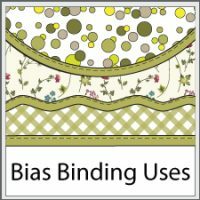 You can go with the same fabric, or with a piece of lining if the thickness is too great. 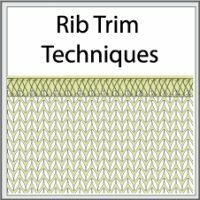 Stay is used to achieve a crisp lines and prevent stretching and fraying. 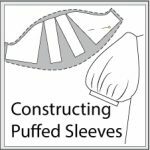 Continue reading How to sew an exposed zipper. Sewing instructions for classic circle skirt. 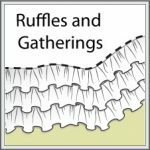 Sewing circle skirt is not a time consuming project, this makes it a popular choice for home seamstress. 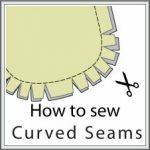 There is only four techniques you have to be familiar with: how to sew a curved hem, insert a zipper, attach a waistband and cut a buttonhole. 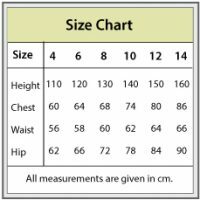 Cutting a circle skirt can be done in one, two or three pieces, depending on the design and fabric width. When fabric is wide enough it is done in one piece. Since there are no seams you will have to use a welt or exposed zipper method. 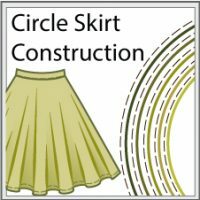 Continue reading Sewing instructions for classic circle skirt. There are usually more ways then one to do things. Centered zipper is not an exclusion. 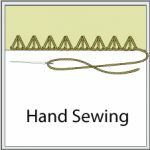 If with the fist method the top stitching played both utilitarian and decorative roles, in this method there is a separate stitch for each function. Right sides together sew the seam leaving the zipper opening unstitched. 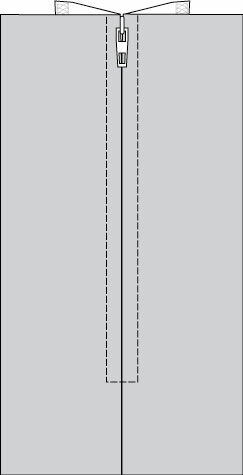 The centered zipper is widely used in constructing skirts and dresses. 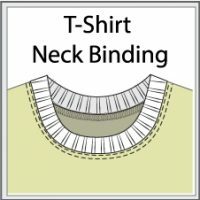 It is probably the easiest to insert and requires only basic sewing skills.